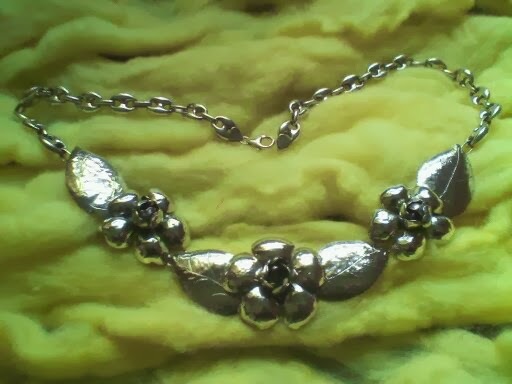 Obradoiro Hedra Creations: Camellia Flower design necklace. "Camellia of Vigo"
Camellia Flower design necklace. "Camellia of Vigo"
the design is first transmited to the metal sheet, to be sawn by hand, then beaten with hammer and chisel, to give volume, texture and strength.